Anchor: U.S. President Donald Trump has strongly hinted at the possibility of holding another summit with North Korean leader Kim Jong-un. 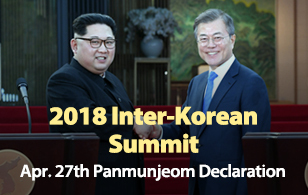 His remarks, which come ahead of Secretary of State Mike Pompeo’s expected visit to North Korea, have prompted anticipation for progress in the two sides' nuclear negotiations. Report: U.S. President Donald Trump has said he would “most likely” meet with North Korean leader Kim Jong-un again, although he stopped short of elaborating on when and where the possible meeting could take place. In an interview with Reuters on Monday, the U.S. president emphasized that he is exerting endless efforts toward North Korea’s denuclearization. Trump said he believes Pyongyang had taken specific steps toward denuclearization, despite widespread doubts about Kim’s willingness to abandon his arsenal. He went on to say that “lots of good things are happening” with North Korea, before stressing that he stopped the North’s nuclear and missile testing. 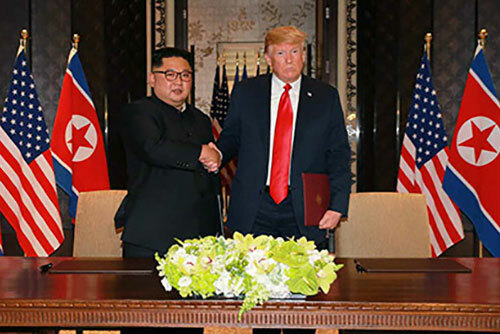 Reuters said that Trump also credited his “great chemistry” with Kim for easing the nuclear standoff last year, which raised fears of a new Korean war. Trump’s remarks came a day after his national security adviser John Bolton said Secretary of State Mike Pompeo will be returning to Pyongyang soon for his fourth visit. At a recent Cabinet meeting, Pompeo said his team was “continuing to make progress” with the North Koreans, adding he hoped that the two sides can make a big step forward. Washington’s most recent comments have raised speculation that the U.S. may be close to yielding some tangible results with Pompeo's next North Korea trip, unlike his latest visit which faced criticism that he came away empty-handed. At least that's what Seoul's presidential office hoped. In a news briefing on Tuesday, spokesman Kim Eui-kyeom said of Trump's announcement of a possible second meeting with Kim that Washington-Pyongyang relations appear to be gaining speed.